How much do you budget for groceries each week? Are you looking for ways to cut your food bill while still trying to eat healthy? 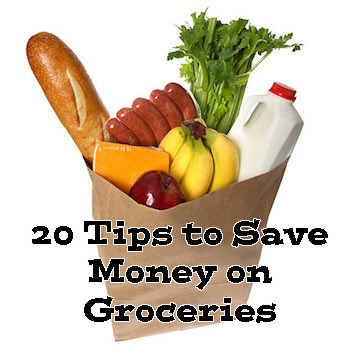 In this article we will dive into this topic and give you our (20) tips to help you save money on your grocery bill. Whether you have a large or small family it isn’t hard to see that most families spend a large portion of their hard-earned money at the grocery store each week. 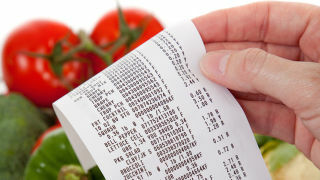 In fact, for most of us our food bill is our second largest monthly expense with our mortgage or rent being number one. (Keep in mind that chances are not all of these are going to necessarily work for YOUR family. Pick and choose a few to try and see if they yield a positive result for you. Be flexible and make small changes as you go – trying too many things at once can be stressful and will not be helpful for you in the long run). 1. 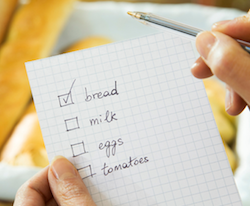 Make a Shopping List – saving money at the grocery store starts before you leave your home and head to the market. Take the time to make a list of what you actually need and avoid the guessing game that many times occurs at the grocery store. This will also help reduce impulse purchases which can really add up to a major unintended expense over time. 2. Review Weekly Sales Flyers – You should also take the time to look over the weekly sales flyers for the stores in your area. 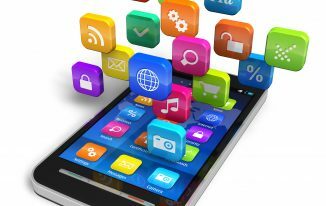 This will allow you to identify sales items and determine which store gives you the best bang for your buck. The good news is most major retailers now post their weekly sales flyers directly on their websites so this footwork can be done easily by using your computer or smartphone. 3. Consider Shopping Around – We have the luxury of living in a community that offers us multiple shopping options so we are able to ‘shop around’ in order to stretch our money even more. We realize that some people do not have this ability or the time necessary to do this but it is a great option to consider. 4. Take a Picture of Your Fridge – It may sound silly but this trick has come in handy for us on more than one occasion when we couldn’t remember if we had something in our fridge or not. We had a picture in our phone that we could refer back to and see just what it looked like when we left. It doesn’t cost you anything and doing it can save you from unneeded purchases. 5. Clip and Use Coupons – Effectively using coupons can be a life saver for some families. 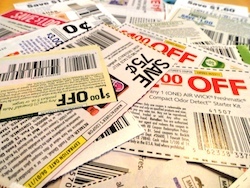 We say effective because in many cases the use of coupons can lead to overspending. 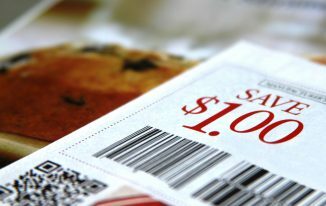 Avoid the practice of buying something just because you found a coupon for it – unless you need it. 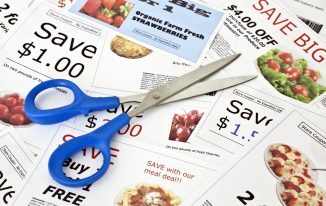 We have found that using coupons saves us, on average, between $25-50 each week. Some families save much more than that. 6. Purchase Generic Brands – Want to save money on groceries without using coupons? Consider switching to generics brands. This can save you a lot each week and in most cases you will not be able to tell a difference between a name-brand and generic-brand item (especially cooking and medicine related products). Take a minute to look at the labels on products to see what active ingredients are – for most generics they will be the same, just lower priced. 7. Avoid Brand Loyalty – Along the same lines as using generics having strong brand loyalty can also cost you at the grocery store. There is so much competition between brands to get market share and having an unwillingness to change brands can be a costly mistake. Be flexible with your spending habits and take advantage of competitor driven sales. 8. Take Advantage of Store Reward Programs – Lots of grocery stores now offer some form of a loyalty reward program to keep customers happy and keep them coming back. Take full advantage of these. The store we frequently shop at has given us lots of free pots and pans as well as discounted gas. 9. Shop Online – You can now avoid the grocery store altogether and shop for lots of groceries online. Online giant Amazon now has a very large grocery selection and the prices are very competitive (if not better) than traditional box-store retailers. This way you purchase just what you need and can almost completely avoid impulse purchases. Not to mention the convenience of doing it from the comfort of your home and not dealing with the hustle and bustle of the grocery store. 10. Shop Alone (Not with Your Kids!) – If you have ever food shopped with your kids (and what parent can actually say they haven’t) then you know all too well how much ‘extra’ food you buy that they ‘had to have it’. These additional, and nonessential, purchases really do add up to a large expense throughout the year. Leave the kids at home and you will see just how much money you save. 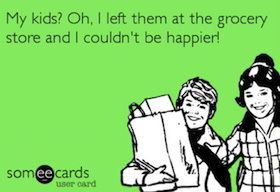 Not to mention grocery shopping is so much less stressful without kids! 11. Don’t Go Shopping When Hungry – Been there and done that. 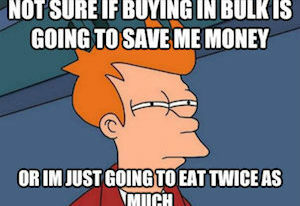 Yes, it is true – you will spend more money on food when you are hungry. Avoid the extra temptation that hunger creates by going to the grocery store AFTER you have eaten a meal. 12. Learn to Just Say NO – Learn to know when something is overpriced and you should not buy it. Is $4.50 for a box of cereal too much? You should know the approximate cost for products that you frequently purchase. If the price jumps then know what your walk-away point is. Chances are you can find it cheaper at another store so don’t overspend just because it is convenient. That is exactly what the grocery store wants! 13. Avoid Gimmicks – Grocery stores spend millions of dollars in gimmicky marketing with one strategy in mind – getting you to spend your money with them. While some of these can be to your advantage there are also times when these cause you to spend more than you wanted to. Be smart with your money and develop good spending habits. Don’t rely on gimmicks – they never last. 14. Build a Stockpile – When you find a good coupon and sale combo then don’t be afraid to stock up if the price is low enough. This will help you avoid buying the same product a few weeks later at full price. This is especially true for those of you with young children at home that require items such as diapers, wipes, formula and baby food that are purchased frequently. Get it cheap while you can and enjoy the savings throughout the month. It will mean spending more today but you will thank yourself later. 15. Buy in Bulk – Purchasing a membership to wholesale clubs such as Sam’s, BJ’s or Costco can be major money savers especially for larger families. Just be careful that you do not buy large quantities of perishable foods which inevitably leads to waste. Also keep in mind that many of these wholesale stores offer discounts on lots of products above and beyond food. We routinely go to our local Sam’s Club in order to purchase gift cards for local services (such as movie tickets). 16. Check the Clearance Section – Most grocery stores have a clearance section that may have some products you are looking to purchase at significantly reduced prices. Many people also look for ‘manager’s specials’ especially in the meat section. 17. Avoid Eating Out – This is a no brainer. Packing your own lunches/dinners is so much cheaper than eating out. If you’re looking to reduce your overall food budget than do not overlook how much you spend by eating out. 18. Grow Your Own Veggies – If you have the space (and patience) then you can grow your own vegetables for a fraction of the cost of purchasing them at the grocery store. Not only are they cheaper but they also taste so much better! 19. Check Your Receipts – Mistakes happen. Items get scanned twice by mistake, coupons sometimes do not scan properly and sale items sometime show up as full price. It is always a good idea to look over your receipt to ensure that there is nothing that needs correcting. If you find a mistake bring it to customer service and they will help you out (most of the time). 20. Track Your Savings – This is one thing we strongly recommend for those who are just starting out with coupons. Having the ability to track and ‘see’ your savings each week is great for building positive momentum. It can be exciting to see just how much you can save and it can become a game to see just how low you can get your grocery bill each week. Hatchimals Surprise Sale Alert – $52 at Walmart – Get Yours Now!